NPC Services provides a wide range of commercial, residential and specialty construction services offering general contracting, project management, consulting, and specialized trade services for a variety of new construction and heritage conservation applications. 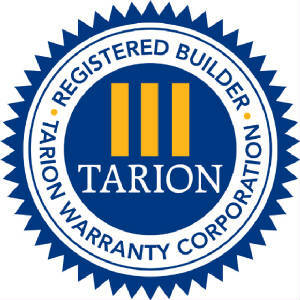 We have been building on tradition, superior service and craftsmanship since 1991. 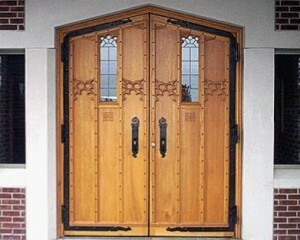 Neal Pope Carpentry Services began providing finish carpentry and quality millwork to general contractors in July 1991. At the time we helped to successfully complete many commercial projects including the Fleming Building, the Land Registry Office, and the Rural Employment Office, in Cobourg, Ontario; the Furby House Bookstore in Port Hope, Ontario; the Window Replacement at the Spruce Court Co-op Housing Development, and the Renovation of the “Guvernment” Nightclub in Toronto, Ontario. Gradually period reproduction and heritage restoration became our core business activity. In 1993 – our first major restoration project as a General Contractor; 1995 – manufacturing solid wood windows and doors; 1999 – shaping custom wood mouldings. By 2001 Neal Pope Carpentry Services Incorporated had a crew of 16, and an experienced core of specialists in timber framing, roofing, joinery, cabinetry, stairbuilding, plastering and custom finishing. In 2003 we completed our first custom home. That same year we were recognized by the Government of Ontario Job Connect Program as the Eastern Ontario Employer of the Year for our work promoting the trades and developing new tradesmen through the Ontario Youth Apprenticeship and Carpentry Apprenticeship Programs. While growing we worked with home owners, architects, engineers, designers, and municipal officials. Our list of projects includes work on many Locally and Federally Designated Heritage Buildings. We revived and advanced traditional crafts while including the modern innovations that allow us to complete restoration and replication work far more accurately and efficiently than our competition. Since 2008, while still involved in building the highest quality custom homes, we have also carefully converted several industrial and heritage commercial buildings for new uses. Also in 2012, after many years of research and development, we introduced our own distinctive line of performance tested traditional wood windows and entrance door units, Heritage Fine Windows and Doors. We are very excited to launch this product, carefully designed and refined to offer the perfect blend of authenticity, quality and performance that we believe can be found nowhere else. NPC Services is a fully registered and insured General Contractor specializing in Custom Home Building and Heritage Restoration. We strive to support and promote our staff, to develop new tradesmen for the future, and to maintain excellent relationships with all of our suppliers and sub-contractors. Above all our goal is to honestly provide consistent value and quality workmanship to our customers. As you tour this website the items pictured were all created by our own craftsmen. I hope you will consider NPC Services for your next construction or restoration project. Introducing our line of all-wood historically accurate, technically correct, heritage styled windows and doors! 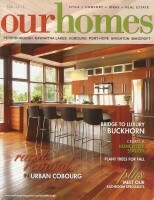 See one of our stunning kitchens featured in the Fall 2012 issue of Our Homes Magazine!